As attention spans wane, listicles reign, and traditional journalism often gets left by the wayside for the shorter form content needs of mobile customers. When accessing information on-the-go, it’s critical for the content delivery experience to be intuitive to their screen, device, and application. Often times though, that’s still not enough to stand out from the noise. Mobile-first customers are ushering in a new era of journalism, where content must not only inform up-to-the-minute, but also engage as part of an overall mobile experience that jives with their lifestyle to satisfy needs, solve problems, and deliver on increasingly high expectations. 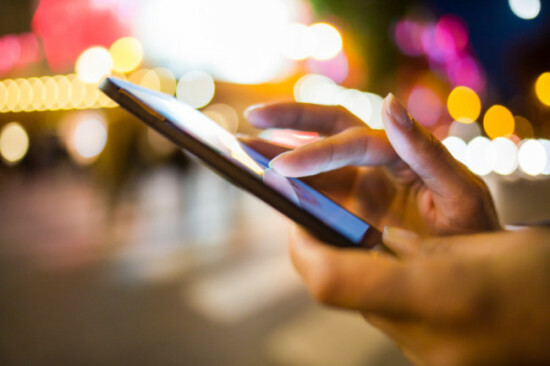 Re-imagining mobile experiences and strategies with customers at the core is critical to connecting with them in relevant and innovative ways. As such, journalists must also follow suit with brands that are putting audience research front-and-center when strategizing how to better connect with customers (readers) throughout their mobile journey. Today, mobile audience persona development and journey mapping are equally as important as quality reporting and editorial calendaring. In addition to delivering content in a user-friendly way within an app or mobile-optimized website, it’s also important to consider mobile opportunities that are tangential to the core content offering–such as social TV and gamification experiences. With mobile as “first screen” for many customers (especially during breaking news, live events, and sportscasts), connected social networking and gaming components often become the primary content offering, leaving traditional television news, events, and programming in the background. This leaves a trove of untapped opportunity for journalists, publications, and media companies to pull in readers using these new tactics as part of a native, intuitive, and incentivized mobile content experience. In a recent conversation with Hicham Jorio, VP interactive media, from Excitem.TV, we discussed how these social and gaming experiences are becoming increasingly relevant and engaging for his clients’ consumers, as they’re designed around real customer data gathered over time, often through social identity log-in (i.e. Facebook Connect). They’re no longer looked at as promotions or sponsorships, but rather real content offerings that are supplements to traditional news and event coverage. During last year’s Emmy’s, Jorio said Excitem.TV worked with the Television Academy to create a campaign that engaged fans around their Emmy winner predictions. Run through Facebook, the game allowed groups of friends to create ballots that predicted winners by each category, and share their wins (or, losses) live as the results were revealed on-air. The campaign was a perfect example of combining entertainment news with social TV and gamification components to result in highly engaged viewers that produced and shared content on behalf of the Television Academy. Although the need for access to real-time reporting will never disappear, mobile customers are contributing to a new era of journalism that demands more from content and ad creators. The more that content can foster opportunities for interaction, sharing, and conversation, the greater potential to grow meaningful reader relationships that endure even the slowest of news days.